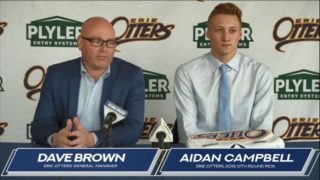 Erie, Pennsylvania – The Erie Otters, in conjunction with the Ontario Hockey League, announced today their schedule for the 2018-19 season, featuring the Otters opening an OHL campaign on home ice for the first time in the team’s 23-year history when they host the Flint Firebirds on Saturday, September 22nd at 7 p.m. The Otters schedule features 68 regular season contests (34 home and 34 road) with the squad facing each opponent at least two times throughout the league’s seven-month calendar. Erie will once again battle in the Western Conference’s Midwest Division, facing divisional foes Guelph Storm, Kitchener Rangers, London Knights, and Owen Sound Attack six times each. 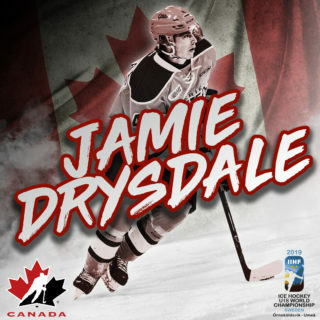 They’ll see Western Conference rivals Flint Firebirds, Saginaw Spirit, Sarnia Sting, and Windsor Spitfires four times each. 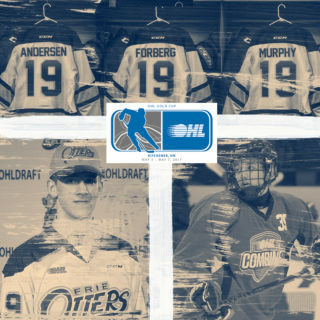 To round out the schedule, the Otters will face off against their closest proximity opponent in the Niagara IceDogs six times, and Eastern Conference opponent Mississauga Steelheads four times. 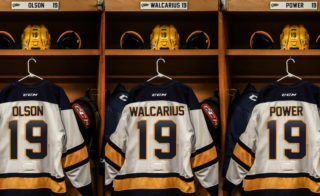 On the home side, the Otters will dwell in the friendly confines of the Erie Insurance Arena for 15 Saturday games, as well as six Sundays, six Wednesdays, five Fridays, one Monday and one Thursday. Erie’s schedule also gives them 28 back-to-back games, and seven instances of three games in three days. Purchase information for Erie Otters 2018-19 individual game tickets will be released in the near future. Season tickets for the 2018-19 season are on sale now and can be purchased at the Erie Otters front office located at 201 E. 8th Street, or by calling 814-455-7779. 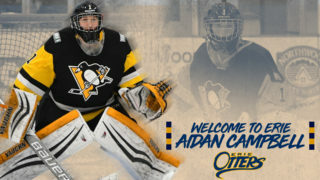 For the latest Otters news, visit www.ottershockey.com, or follow the team on Facebook (www.facebook.com/erieottershockey), Twitter (@ErieOtters) and Instagram (@ErieOtters).